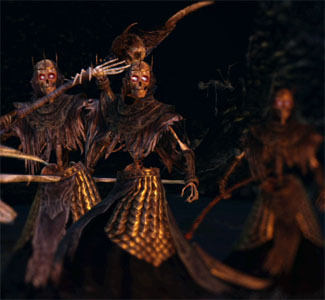 The Skeleton Lords are a trio of huge Skeletons and debuted in Dark Souls II released in 2014 for multiple platforms. 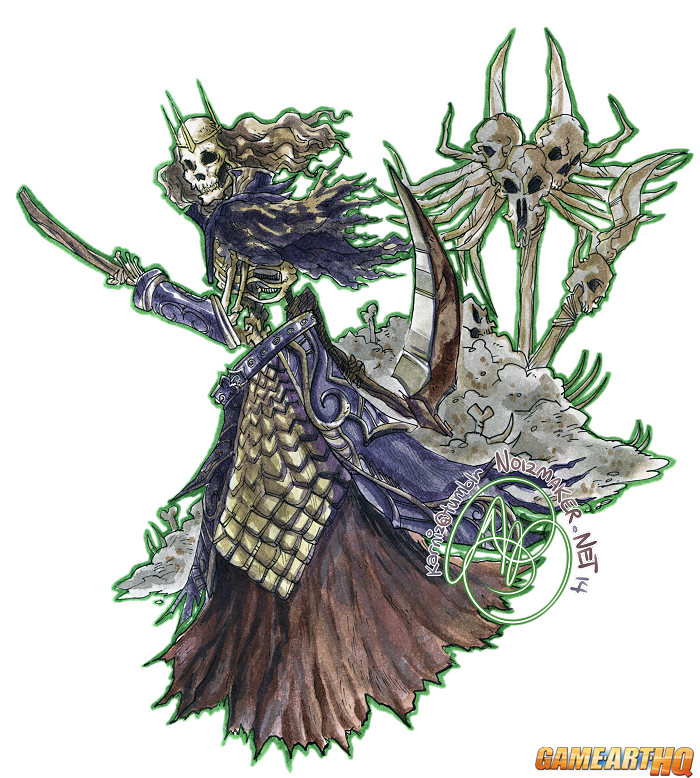 They form a boss fight and are able to shoot fireballs and hunt the player through the arena. 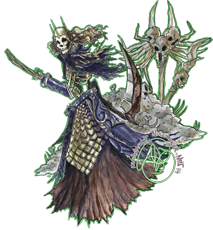 Additional smaller skeletons are attacking as well during the fight.